Bishop Ilarion, Bishop David, members of the clergy, survivors of Holodomor, invited guests, doroha ukrainska hromado. When I was a student at the University of Alberta, one of my favourite classes was a Ukrainian folklore class offered by Dr. Robert Klymasz, a visiting professor from Harvard University. Dr. Klymasz’ course focused on “Dumy” which are sung epic poems that go back more than 500 years to the time of the Cossack Het’man state and were performed by a travelling bard called a kobzar, just like the one you see here. These poems were built around historical events, the most common theme being the struggles of the Cossacks against their enemies and that never ending quest that has often eluded Ukraine, the quest for freedom. Very importantly, Dumy also imparted a moral message about how one should conduct themselves in relationships with the family, the community and the church. As recently as the early 20th century the kobzar and his Dumy were one of the greatest lyrical traditions in all of Europe and to see and hear a kobzar perform was to understand what it meant to be Ukrainian. It would have sounded like this: (Dr. Hornjatkewych plays and sings a lament in memory of the kobzari). Dr. Hornjatkewych’s song was not a Duma, it was a lament, a song of grief, that describes that day in about 1935 when hundreds of kobzari gathered outside of Kharkiv, Ukraine’s capital city, under the guise of a kobzar’s convention. The kobzari were all executed, their bodies thrown into a pit and forgotten. Now let me take you back to the 1920s when Ukraine was experiencing a national and cultural revival. By 1927 Ukrainian was used as the language of instruction in more than 97% of her schools. Rates of literacy were rising dramatically throughout the Ukrainian countryside. In 1922 only 23% of the members of the ruling Communist Party of Ukraine were Ukrainian; by 1927 Ukrainians made up 52% of the ruling party. The number of books, journals and newspapers published in Ukrainian was rising exponentially. Economically, compared to the rest of the Soviet Union, Ukraine began to prosper. Agriculture and other industry were expanding. A result of this revival and relative prosperity, was that Ukraine, prior to 1932, had the highest birthrate in Europe and a natural population increase of some 800,000 per year, also the highest in Europe. It was this success as a nation that posed the single greatest threat to the Russian Soviet goal of dictatorial control from Moscow and the russification of Ukrainian society. The first attack was on Ukrainian intellectuals, artists and writers. Between 1926 and 1933, hundreds of thousands of teachers, writers, artists, and political leaders were executed, imprisoned or exiled. In 1931 alone, more than 51,000 members of the intelligentsia were exiled to Siberia. 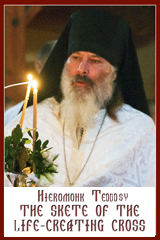 The second attack was against the Ukrainian Autocephalous Orthodox Church. Between 1926 and 1932, Metropolitan Lypkivsky and 10,000 Ukrainian Orthodox clergy were executed. 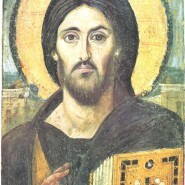 Essentially, by 1932, the Ukrainian Autocephalous Orthodox Church in Ukraine was eliminated. The third part of this genocide was aimed at the Ukrainian peasants, the heart of Ukrainian identity – the folklore, the music, the Ukrainian language and literature, the kobzari. A law passed in Moscow declared all food in Ukraine a state asset. In the fall of 1932, 112,000 Russian Soviet soldiers and NKVD secret police entered Ukraine and sealed her borders denying the victims of the upcoming famine the opportunity to search for food. All food and seed grain was removed from targeted areas and one third of all Ukrainian villages were blacklisted. These were the most uncooperative villages, the ones that most resisted forced collectivization and the removal of food. Their fate was to be surrounded by soldiers and police. Anyone who tried to leave these villages was shot. It’s important to note here that while other Soviet republics suffered from communist terror, no other republic had its borders sealed and it was only Ukrainian villages that suffered the fate of blacklisting. At the height of Holodomor, the famine genocide, 25,000 people per day perished. When it was over one quarter of Ukraine’s population had been murdered. In 1933, when Ukrainians no longer occupied large parts of Ukraine, the train loads of ethnic Russian peasants began arriving. Hundreds of thousands, all of them against their will, resettled in Ukraine. And then the lies and cover-ups began. Archival documents seized and locked away, or destroyed. The 1937 census declared invalid. All of the administrators of the census executed. The comment from Soviet authorities regarding the census was that such a large loss of life, as indicated by the census, was impossible. These factors, that I have described: the physical destruction of a group, the destruction of their intellectual leaders and religious leaders, and the resettling of outside ethnic groups in lands formerly occupied by the group that was destroyed, these are the factors that Raphael Lemkin, who coined the word genocide, used when he first proposed the concept. Lemkin was a Polish lawyer of Jewish descent, a survivor of the Holocaust who lost 49 family members during that genocide. He developed his concept of genocide at a time when the two extremes of facism and communism created one of the most intolerant periods of human history. It is Professor Lemkin’s draft resolution for a Genocide Convention Treaty that was adopted by the United Nations General Assembly on December 9, 1948. Later that day Professor Lemkin joined 10,000 Ukrainian Americans as they marched down 5th Avenue in New York during their 20th commemoration of Holodomor. Professor Lemkin spoke those words 58 year ago, yet today, the European Council and the United Nations have not recognized Holodomor as genocide, this despite a mountain of evidence that proves not only that Holodomor was a deliberate act of genocide but also the greatest mass murder of civilians undertaken during a time of peace. 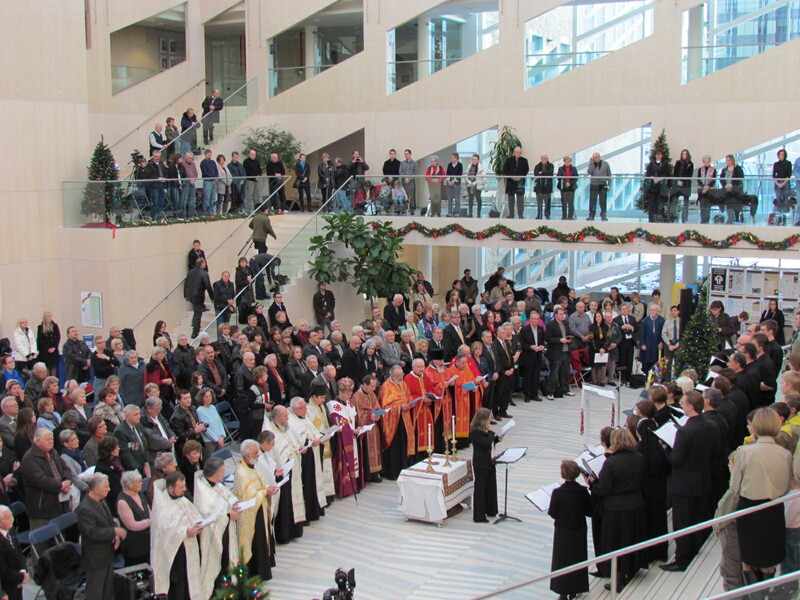 Yesterday, 38,000 staff and students in Edmonton Catholic Schools observed the first annual Holodomor, Ukrainian Famine Genocide Memorial Day. Through educational activities, stories, and prayer, our students and staff paid respect to the victims of Holodomor. This was only possible because of the recommendation made by Bishop David Motiuk , the support and encouragement of our superintendent Joan Carr, and the unanimous endorsement of trustees. Holodomor Memorial Day has been placed into our school district calendar in perpetuity, and schools are urged to undertake activities on this day to honour the memory of the victims of Holodomor. Bishop David, Superintendent Joan Carr, trustees Becky Kallal, Larry Kowalczyk, Cindy Olsen and Laura Thibert, on behalf of the Ukrainian Canadian community gathered here today, and the thousands more represented by those in attendance, thank you for your acknowledgement of the truth, and above all, your wisdom in establishing Holodomor Memorial day in Edmonton Catholic Schools. I also want to thank Edmonton Catholic Local Alberta Teachers Association president Sandy Gillis for his support in establishing a Holodomor session at this year’s Greater Edmonton Teachers Convention. For the first time 7,000 teachers will have the opportunity to learn about Holodomor and how Holodomor can be taught in our schools. Thank you, Sandy. The community should be aware that the teaching of Holodomor is mandatory in Alberta as part of the grade 11 social studies curriculum. Through the leadership of Marusia Petryshyn at the Canadian Institute of Ukrainian Studies, educational resources are being developed to support the teaching of a Holodomor unit of studies. I also want to acknowledge the work of John Tidswell, Edmonton Catholic Schools social studies consultant, who spent much of last summer writing the background information and lesson plans for this unit of studies. Yesterday I visited St. Martha School in west Edmonton and taught all the grade 3 to 6 students a short lesson about Holodomor. When I asked the students what they had learned they told me this: it is very important to learn about very bad things like Holodomor because it teaches us that we must stop bad things from happening again. One little girl told me that she learned where Ukraine is and that now she could pronounce Holodomor and she knew that Holodomor meant to die from hunger. Another student told me that he learned that bad things like Holodomor happen because some people lose respect for other people. That happens when they think their idea is more important than a person’s life so they kill the person. Lessons like this were repeated throughout Edmonton Catholic Schools yesterday to thousands of students. Для тих хто пережили це страхіття Голодомору, і зібралися тут сьогодні, ми обіцяємо, що ми завжди будемо відзначати День пам’яті Голодомору в наших школах. Ваші страждання, і долі невинно убитих, ніколи не будуть забуті. Я переводжу тепер мою увагу до молоді, яка зібралася тут сьогодні, і маю до вас питання: що означає для вас бути дитиною нації, яка була призначена для знищення? Коли ви повністю зрозумієте, що це означає, які обов’язки ви будете мати перед вашими батьками, бабусями і дідусями, перед вашими предками? Хто з вас буде стояти тут, через 5, 10 або 20 років? My question to the youth gathered here today was this: What does it mean to you to be a child of a nation that was targeted for extermination and what responsibilities does this create? My question to all of you is this: when you attempt to fully comprehend what this genocide means, what comes into your mind? What does it mean to you, how do you comprehend that a handful of evil men and a perverted ideology inflicted a genocidal hell on a 1000 year old nation that wanted nothing more than freedom, to express itself through its ancient language and culture? When that moment of comprehension arrives for you, will it be an image, perhaps a tearful kobzar, staring at a pit filled with hundreds of his brothers, his tears not for his own life that he is about to lose, but for the songs of freedom that only he and his brothers carried in their hearts, now lost forever in that pit? Will that moment of comprehension bring a feeling of sympathy, of hatred for the perpetrators? When that comprehension arrives let it also be that moment when we allow our hearts and minds to be open to a moment of grace that forces us to confront the intolerance that everyone of us bears. These survivors, the millions that were murdered, the millions that were executed and exiled, deserve much, much more than just that. But at the very least, their sacrifice demands that we teach our children to be tolerant. This was a great honor. Thank you.